I have a great guest post for your today from Tom at Fired Up Millennials. Tom is running towards Financial Freedom. The first thing on his list is to pay off his credit card debt. There are some great ways to pay off credit card debt quickly in this post so make sure to soak it all in. Like many Americans, I fell into the trap of credit card debt all too easily. The ready availability of credit cards on college campuses, combined with a culture that allows instant gratification with just a few clicks, led me into a situation where I found myself spending too much and in more debt than I was easily able to pay off, even with a good job and a stable income. It isn’t unusual to find yourself in credit card debt, especially in the United States where so many people fail to use credit cards wisely. In 2017, the Federal Reserve announced that Americans have the highest credit card debt in our country’s history, standing at over one trillion dollars. Having credit card debt can be a major stressor in your life, as the monthly bills with ever-increasing minimum payments lead to significant anxiety. Perhaps more importantly, this type of debt can prevent you from achieving other goals, such as buying a home, saving for retirement, or even starting a family. For these reasons, I made a decision to tackle my debt head on, with the ultimate goal of paying off my credit card debt as quickly as possible. I am using a combination of seven strategies to knock down my debt and get my financial house in order — and you can do the same. When it comes to getting out of debt, budgeting is the key. Unless you know exactly what you have coming in each month and how much you are spending, and set some goals, you will not be able to (1) adjust your spending to fit your income or (2) make cuts to your spending to pay down your debt. I started by using both old fashioned and high-tech tools to figure out my money flow. Determining my income was relatively simple; through my full-time job, I am paid on a salary basis every two weeks. I also do a number of additional jobs on the side online (discussed further below), which are less regular, but can be averaged out and added to my total monthly income. Tracking expenditures can be more difficult. My fixed expenses include housing, student loan payments, and car payments. I also have utility bills, such as electric and water, along with my phone bill and cable and internet bill. These may fluctuate slightly, but are relatively predictable. I listed those out manually and to get an idea of what my fixed expenses are each month. Next, I used tracking apps, such as Mint, to see where I was spending money each month on things like picking up coffee, buying lunch, or making impulse buys on Amazon or other sites. Using these tools, I could pinpoint areas where I was wasting money — and how I could cut money from my budget. I then set a budget, limiting the amount that I could spend each month on each category. While I had certain amounts that I had to spend on necessities, I was spending more than I needed to on frivolous items like subscriptions to music steaming services or regular meals out when I could cook at home. By setting a budget and sticking to it, I was able to save hundreds of dollars each month — which I could then put towards my debt. Because credit cards tend to have high interest rates, it can be hard to pay off balances, as so much of your monthly payment goes towards the interest. Making large payments towards the debt — as much over the minimum payment as possible — can help you pay off a credit card balance more quickly. Using a budget, I can devote all of my extra money to making big payments on my credit cards so I could get out of debt sooner. One of the ways that many people sabotage their efforts to pay off credit cards is by continuing to use them while making payments. Each purchase adds to the principal, and ups the overall balance — which means that you are paying interest on an even higher amount, and it becomes that much harder to pay off your debt. To avoid this problem, I switched to debit cards. I could still make purchases using a card when necessary, but the money came directly from my bank account. 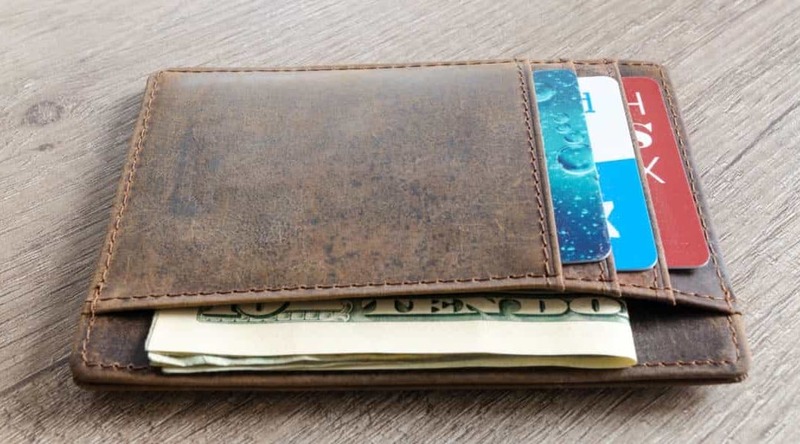 I didn’t build up a balance that way — and because it had an immediate impact on my bottom line, I was a lot more careful about how much I spent than I was when using credit cards. So, if you want to pay off your credit card debt, it is vital that you stop using your credit cards for any new purchases. This post aboutt debt free living can answer a lot of your questions. Interest, or the percent that is charged to borrow money, is what makes it so difficult to pay off your credit cards. Each month, the credit card companies add interest to your balance, which then increases the overall amount that you owe. Because the interest compounds, you are effectively being charged interest on top of interest (in other words, if you are charged $5 interest on a $100 balance, the next month, you will be charged interest on a $105 balance). Your balance can build up quickly as a result. 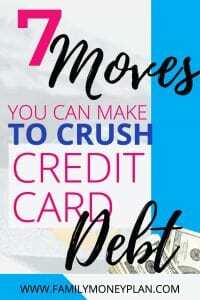 To pay off my credit card debt as quickly as possible, I decided to pay off the credit cards that had the highest interest rate first, using a method known as the debt avalanche. I am devoting all of my extra money to the debt with the highest interest rate, while making the minimum payments on my other debts. As soon as this debt is paid off, I will move onto the credit card with the next highest balance — and use the money that I was paying towards that first debt to pay off the second debt. This method is proven to help pay off debts more quickly and save the most in interest payments. Credit card companies often charge interest rates as high as 15% to 20%. These annual percentage rates (APRs) can make it exceptionally difficult to dig yourself out of a financial hole, because you are accumulating interest at such a high rate that a relatively small amount of your payments are going to pay off the balance. For me, the solution was to obtain a personal loan to pay off some of my credit card debt. A personal loan is often available with APRs far lower than those offered by credit card companies, based on the credit score of the borrower. Here is a useful list of personal loans listed out by required credit score. I was able to slash my interest rate in half by obtaining a personal loan to consolidate and refinance some of my credit card debt, which saved me a significant amount of money and is helping me to pay off my debt sooner by making regular monthly installment payments. While I was not able to get a loan for the full amount of my credit card debt, I was approved for an amount that covered part of my credit card balances — which is allowing me to make significant headway in my ultimate goal of becoming debt-free. While credit card interest rates are typically high, they don’t have to be — if you know how to negotiate. If you are a good customer who makes regular, on-time payments, it is worth making a call to see if you can get lower interest rates from your credit card companies. That is what I did with the credit card balances that I had remaining after consolidating and refinancing through a personal loan. I called my credit card companies, and requested that they lower my APRs, citing my history of payments and the fact that I had been a loyal customer for years. Some of the credit card companies were willing to work with me and lower my interest rates by several percentage points, which netted me a fair amount of savings in interest payments. In my experience, it is always worth that phone call to see if you can get a reduced rate. As an engineer, I make a good salary. Yet because I have a fair amount of credit card debt and certain fixed monthly expenses, I knew that if I wanted to pay off my debt quickly, I needed to add income to accomplish my goal. Enter the side hustle. I have marketable skills as an engineer with some talent for writing and ability to explain concepts to others. So, I currently take on freelance writing projects in my spare time, and tutor engineering students. Each dollar that I make from these endeavors goes directly towards paying off my debt. Whether it’s $50 or $500 per month, every bit helps me to knock down the total amount owed, since any payment over the minimum will chip away at the total balance. When you fall into credit card debt — particularly as a successful young professional — there can be a sense of shame or embarrassment. Yet sharing your challenges and strategies can help you stay on track as you strive to reach your goal. For me, sharing my progress with my friend Jim (who is also in credit card debt) has helped us both to stay accountable. We remind each other of our goals, work on strategies, and keep each other motivated. Having a buddy doing this with me has been incredibly helpful, and has me stick to my budget and my game plan. While credit card debt is a difficult hurdle for many to overcome, paying it off is possible if you think strategically. I am well on my way to achieving my goal of crushing my credit card debt quickly – with hard work, commitment, and smart planning – and you can be too. Have any questions about my plan? Feel free to comment below or email me at [email protected] and I’d be happy to help. Tom “FIRE” runs his own personal finance blog centered around achieving Financial Independence and Retiring Early – hence the FIRE. You can follow his journey at his blog at FIREdUpMillennial.com and on Twitter @FIREdUpMillenn.